Even though cooler weather is here, it doesn’t stop us from cooking out and enjoying our outdoor kitchen space. We grill at least once a week during the cooler months. We have a large patio area around our pool and a big comfy table by the grill. My husband recently added a big T.V. out there, and we’re even thinking of adding a big comfy outdoor sectional this month. Needless to say, we spend alot of time on the patio. While the the food is cooking on grill, we just enjoy being outside. In the heat of the summer, everyone wants to run in to the air conditioner. But in the cooler months everyone enjoys time in the fresh air outside. 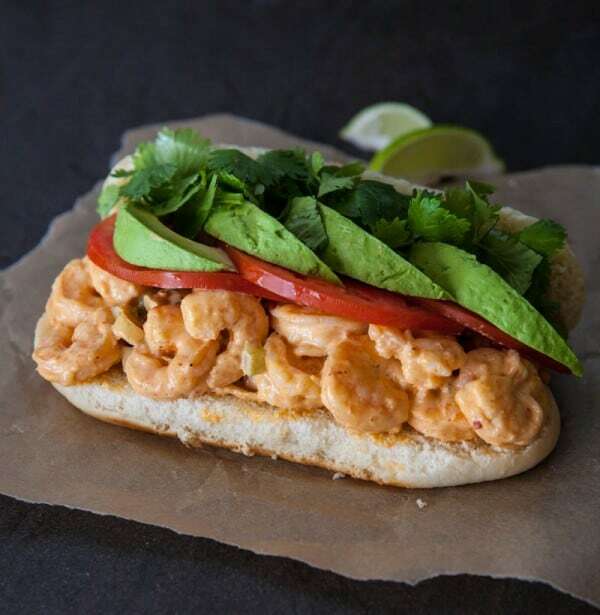 This past weekend I made these grilled shrimp salad sandwiches. To start this recipe, I just removed the tails from my already peeled shrimp and then placed them on skewers. Then I seasoned them with a Cajun spice mix before placing them on the grill. They don’t take long at all to cook. 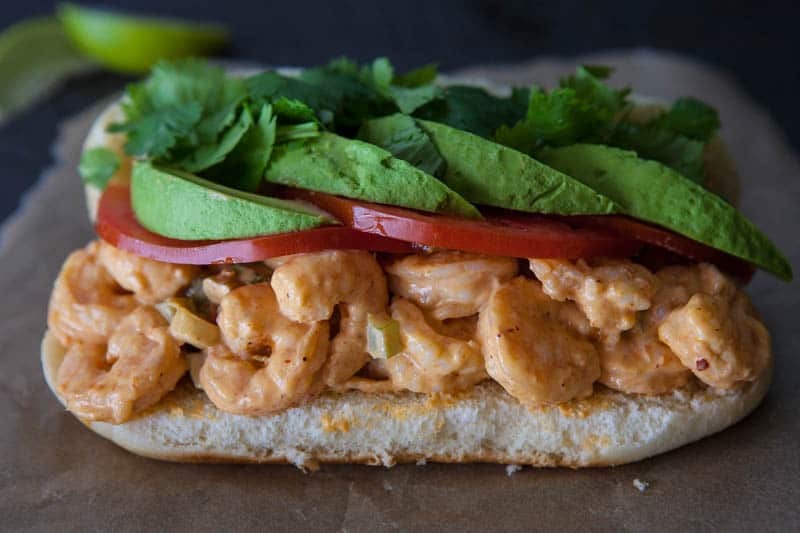 Next I take the shrimp and place them in a large bowl with Hidden Valley’s Spicy Chipotle Pepper Sandwich Spread. This spread is incredible. It’s my new favorite. They also have a Oven Roasted Garlic Parmesan, Smoked Bacon and Country Herb. My son especially loves the Country Herb, and my husband, the Smoked Bacon. 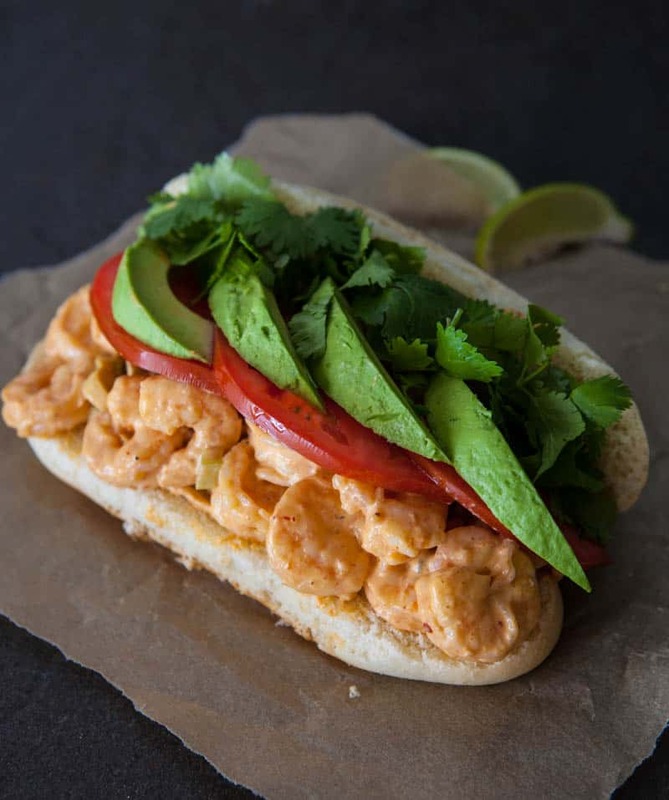 After I get the shrimp salad together, I spoon it on a hoagie roll and top the sandwich with ripe tomato, creamy avocado and fresh cilantro. Preheat grill to medium heat. 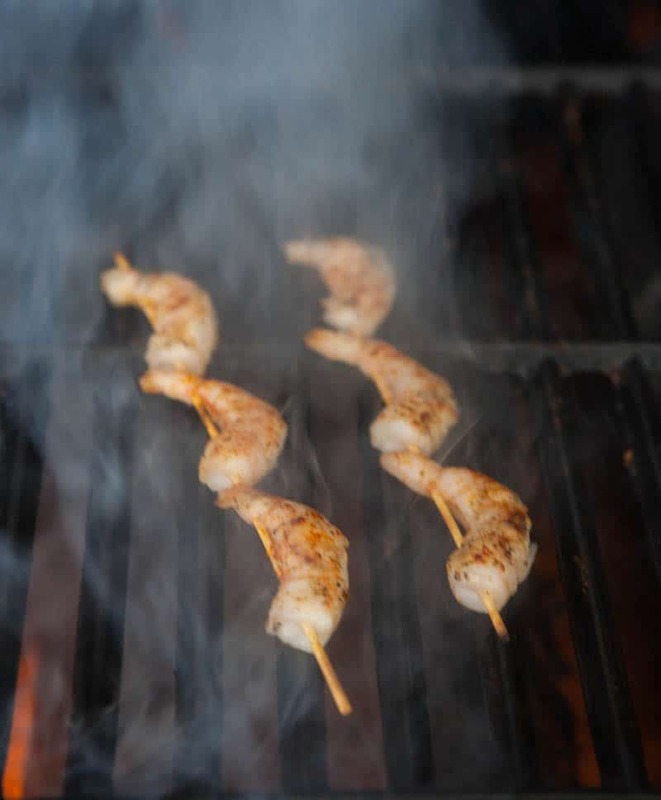 Place shrimp on skewers and spray with non-stick cooking spray. Sprinkle with Cajun seasoning. Grill shrimp until opaque and firm. Remove from the grill when done and let cool before removing from skewers. 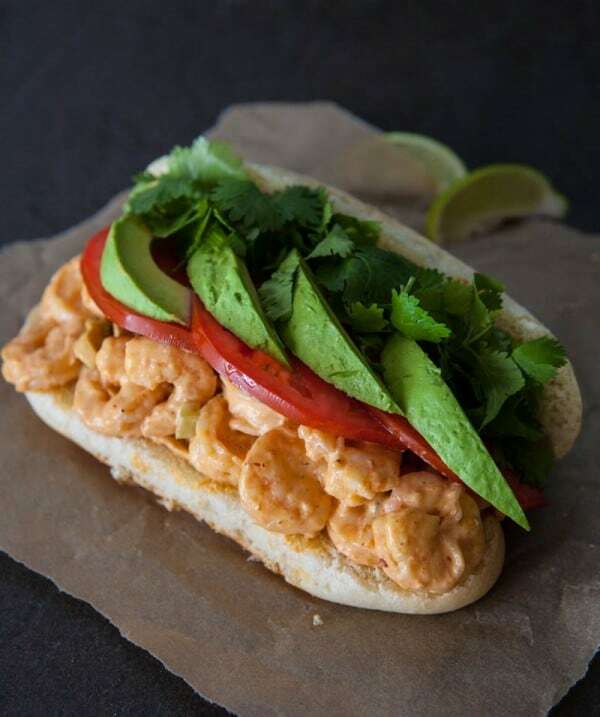 In a large bowl, mix the red pepper, celery, green onion, Spicy Chipotle Sandwich Spread, mayonnaise and lime juice together. Add cooled shrimp and mix well to combine. Taste for seasoning, adding more lime juice if necessary. Add 1/4 of the shrimp salad to each hoagie roll. Top with sliced tomato, sliced avocado and roughly chopped cilantro. Serve with lime wedges for squeezing, if desired. For more great recipes, check out HiddenValley.com. Be sure to connect with them on Twitter and Facebook too. This looks so yummy! 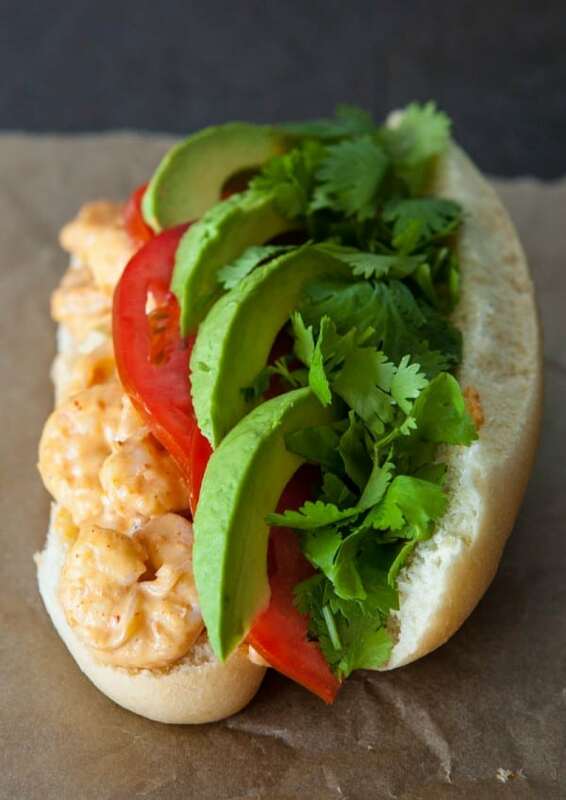 I might just have to bust out our grill (in a snowstorm, no less) just to make these. 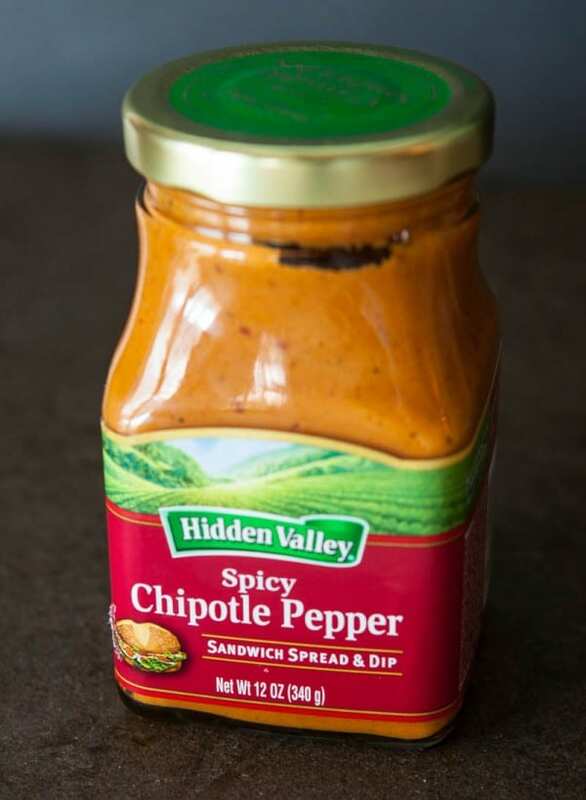 I love that spicy chipotle pepper sauce! And you know I’m totally coming over for lunch!